Prosecutors wage war on suspected coup conspirators—but at what cost to the country? Turkey’s reform-minded Prime Minister Recep Tayyip Erdogan is nothing like his iron-fisted Russian counterpart, Vladimir Putin—right? Think again. In both leaders’ countries, journalists who dare to criticize the government often end up behind bars. In Erdogan’s Turkey, as in Putin’s Russia, the ruling clique’s political adversaries have been hounded by courts and police and have spent months or years in jail without trial, while oppositionist businessmen have been slapped with ruinous tax bills. On at least two dismal indices, Turkey ranks even worse than Russia: Reporters Without Borders’ latest Press Freedom Index puts Turkey in 148th place, behind Russia at 142, and the European Court of Human Rights found Turkey guilty of 174 violations last year, while runner-up Russia had 133. What went wrong? Erdogan came to power a decade ago in a landslide, promising to make Turkey an “advanced democracy” by getting the Army out of politics for the first time in modern history. And at first he did just that, earning warm support from Europe for his reforms. In 2005, the European Union began negotiations for full membership. But this bold reform program began to fall apart in June 2007 after police discovered two secret hoards of weapons and explosives. Investigators accused a shadowy group they called Ergenekon, an alleged ultranationalist conspiracy of military officers supposedly plotting a coup, and the roundup has been growing ever since. The latest wave of arrests, targeting alleged sympathizers of the outlawed Kurdistan Workers’ Party (PKK), has netted some 3,500 Kurdish politicians and activists. To date, 249 senior military officers have been jailed, including 35 generals and even the former chief of the General Staff (who denied all charges against him, calling them “tragicomic”), along with more than 100 journalists. No one is sure whether Erdogan directly ordered the arrests or if he’s merely gone along with overzealous prosecutors whose investigations happened to suit his political aims. 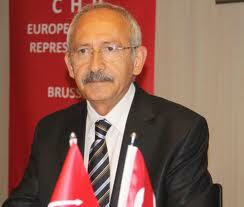 What’s certain is that he has repeatedly defended the Ergenekon indictments, denouncing the international “smear campaign” against the press crackdown, and insisting that any journalists currently in jail were guilty either of conspiring against the government or of having links to the Kurdish rebels. Erdogan has often claimed he can’t tell the prosecutors what to do, and the attack on his Kurdish initiative certainly shows they’re at least partly beyond the government’s control. Europe applauded when Turkey’s judiciary and prosecutors became self-appointing and self-regulating in 2010. But instead of building a neutral, impartial judicial system, rival factions of prosecutors have used their enormous powers for seemingly political ends. The result is starting to look something like a civil war fought not with guns but with arrest warrants. There are clear signs that after 10 years in power, the top Justice and Development Party (AKP) leadership has grown confused, even paranoid. And yet the paranoia has some basis. Despite the AKP’s repeated election wins, the Islamist-rooted party has suffered a decade of almost constant attack from what Turks call the “deep state”—the judges and military men who regard themselves as the guardians of Turkey’s secular state. There’s credible evidence that sections of the military really have been hatching plots to destabilize the government with assassinations, bombings, and disinformation. Ultrasecularist judges, egged on and publicly supported by the generals, have mounted a series of legal challenges to the AKP’s very existence, even as the country’s voters have continued to back the party. “Only the paranoid survive,” says one longtime associate of Erdogan’s who requested anonymity. At this point, Erdogan’s Turkey is backsliding toward the authoritarian military rule of the 1980s. Revolutionaries always need to guard against becoming a reflection of the regime they replaced. In other words, as the jailed journalist Ahmed Sik told an Istanbul court a few weeks ago, “History proves [to] us that any power that tears down its predecessor keeps the bad seeds of the overthrown inside itself.” Perhaps the attack on Erdogan’s Kurdish initiative will finally convince him that the judicial machine has run amok, despite having served his interests for so long. Cracking down on it will inevitably—and ironically—provoke charges that he’s trying to influence the judicial process. But Turkey’s broken justice system has become a disgrace to him and a serious obstacle to his old dream of an “advanced democracy.” As Putin also is learning, jailing opponents doesn’t silence criticism. It amplifies it.